Now I promised everyone a follow up on my hair color from eSalon. Now when I got my color from eSalon, I also picked up a couple of things to help maintain my color because let's face it, red is a great color but it fades quickly. So to prevent that from happening, enter the Tinted Love. The Tinted Love is really easy to use. It says to use it once or twice a week to maintain color. Since I only wash my hair about three times a week on an average, I have been using it once. Really easy to use. I just wash my hair using my regular shampoo, then I apply the Tinted Love which suds up nicely. I leave it on for two to three minutes then rinse it out. I follow up with my normal conditioner. I have also been using Perfect Ending as a leave-in conditioner. It is much lighter then the conditioner that I have been using and has such a silky feel to it. 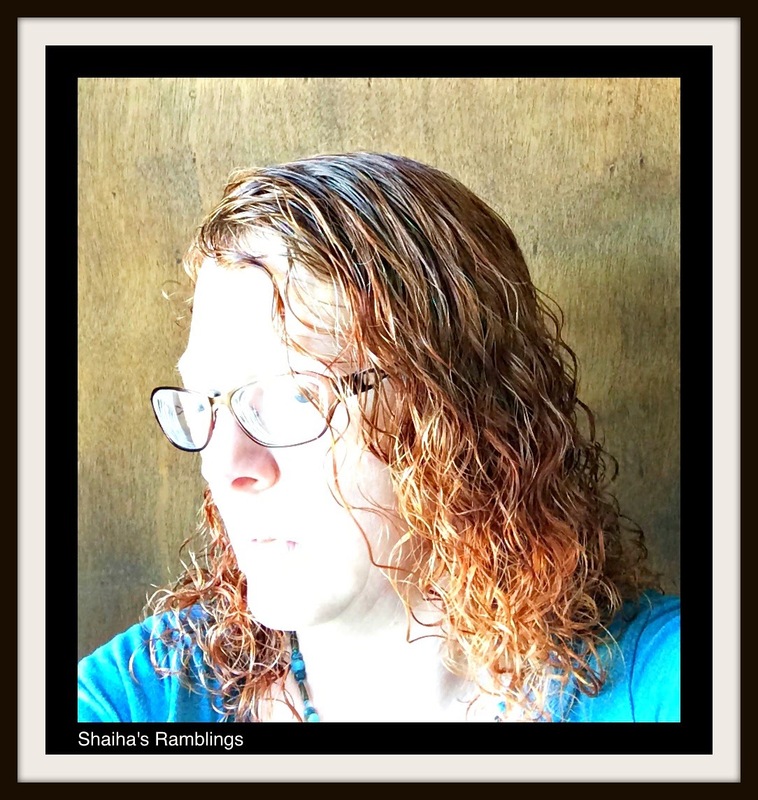 It doesn't weigh down my curls at all and the best part is that it protects my color. Am I happy with the color and the products? You bet! My color hasn't faded at all in the weeks since I have colored it. This is the first time I have ever had that happen even with the $70 salon colors. And I have just been using my normal shampoo and conditioner which isn't a special one for colored hair. I plan on signing up for a subscription for eSalon because they have definitely won my heart and hair. 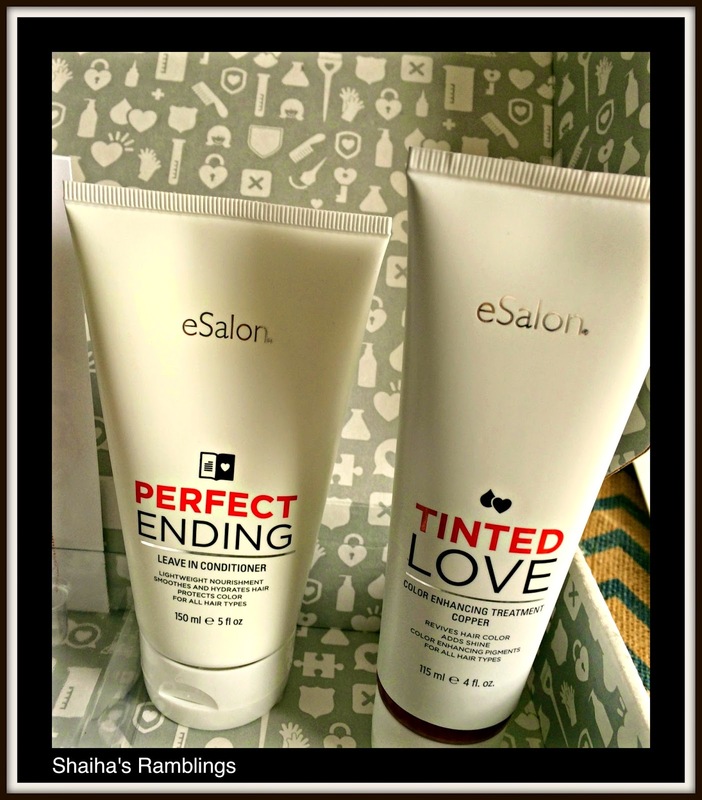 ***I recieved the products for free from eSalon as part of a campaign with BzzAgent. My opinions however are my own. Your hair looks great, I can't believe it hasn't faded at all yet. Thanks for the review, I will be trying them next time I need color!